Frank had a great time with me! I dressed him up in an old school dress made out of jeans and ruffles. 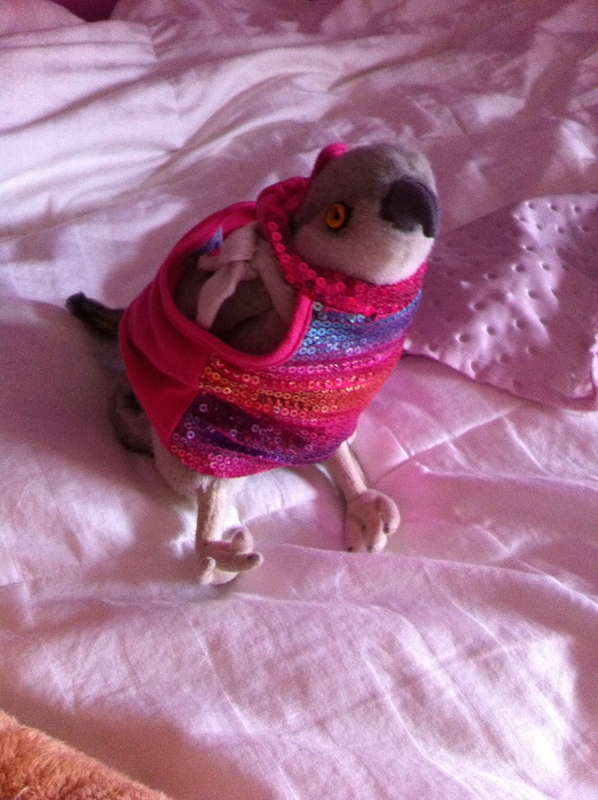 Then I got him to try on a dress that was pink (shocking) and had multicolor sparkles that went in rainbow order. 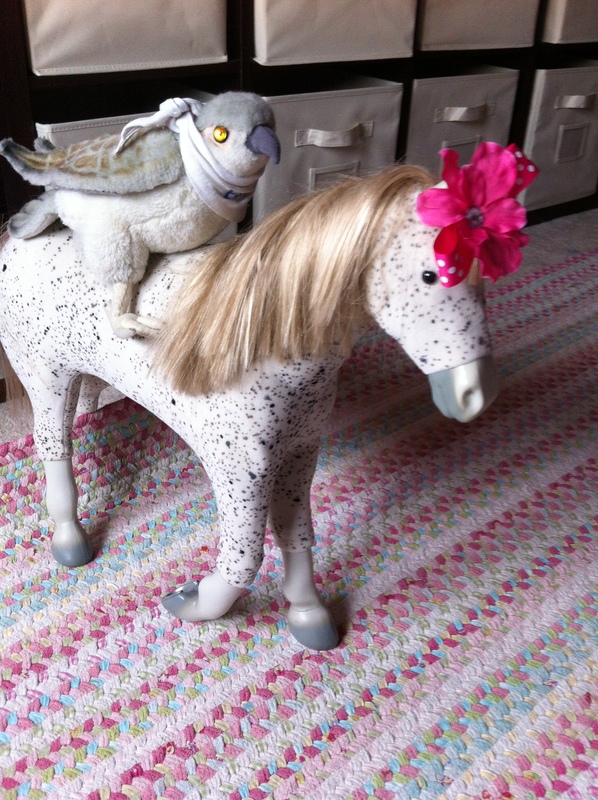 I also took a picture of him on my American Girl horse, Picasso, with a pink flower in his hair. 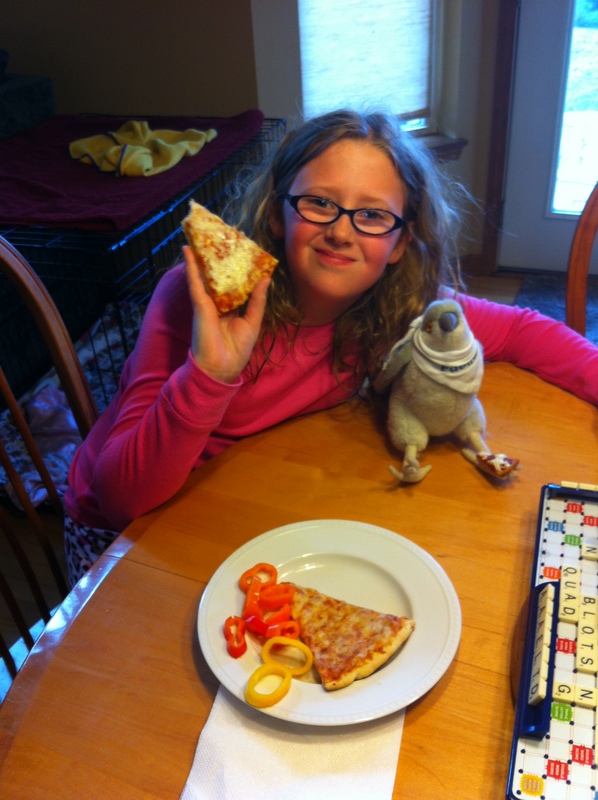 We also ate pizza together. 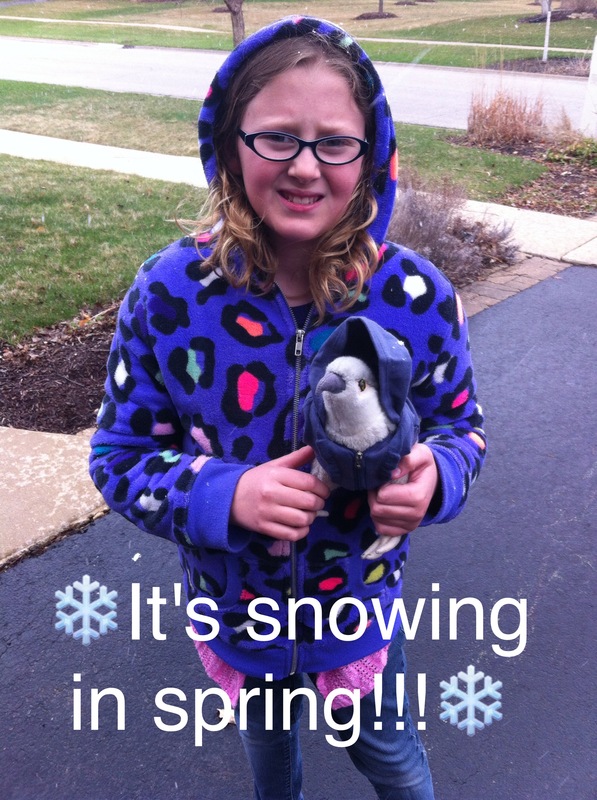 Finally, I put him in an American Girl jacket and took him outside in the brief snow we had last Monday! (Boooooo…) Me and Frank had so much fun!